At early 2016, Fastcodesign published an article which predicted the Most Important Design Jobs Of The Future. Except human organ designer, which ranked first is AR designer (Augmented Reality Designer) among the 18 kinds of design jobs.In the near future, it is the AR designers who can really change people’s life through the reasonable map of abstract operation and the physical world. There are various AR companies among the unicorn startups in Silicon Valley.What kind of innovation will be inspired by the AR technology, that is quite anticipated. 2. With the sudden appearance of AI (Artificial Intelligence), new interactions will not simply rely on traditional screen as the medium. Despite I’m not so addicted to Slack, but the Slackbot is really adorable. The rise of AI makes dialog interaction becomes more natural than ever.It has been discussed that the new interaction mode should be based on the simple chatting interface,that means the operation is executed by natural language.Moreover, interactions in the future are not only based on text input, but also voice action and gestures.That makes the interactions focus on the point of how to develop the natural and smooth user experience. We don’t know when the concept of time becomes more and more concerned in design, such as“Estimated time of arrival”, and“Reading time”. Time has become the key element which can’t be simply ignored, for it is changing the dimension of design and cognition. It brings us a deep and stereoscopic experience that based on the time shift from the flat interface. Consequently, it requires providing more right and enough information for users. It is both an opportunity and challenge. 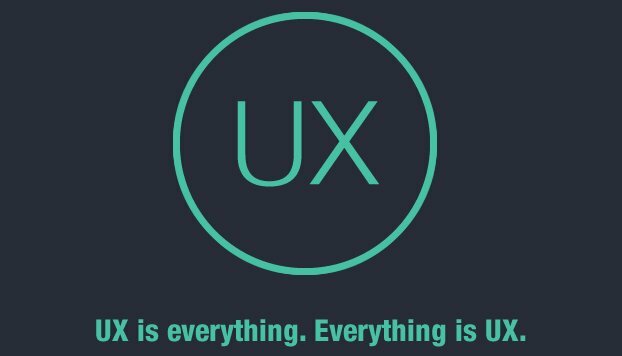 The Top UX Predictions for 2016 released by UX Magazine has predicted that it will be more difficult to distinguish UX and Service Design. UX design is not merely the design of APP interface, but also the support of multiple platforms. UX will be more challenging in the future. With the developing of technology and the high requirements on UI/UX design, all kinds of prototyping tools, design materials and blogs you can find on the internet, such as Axure, Mockplus, and some tips and skills on UI/UX design. So, you can see, people are not simply pay attention to the design itself, but also the human interaction, that is, the friendly design, the service design. The human desire is infinite. As a designer, we are dealing with kinds of desires from users. Despite we can’t satisfy all of them, but we can be closer to their expectations.Also, that’s why we need the big data. Convinced by the magic power of big data, we can also clearly see it’s great potential in the future. The combination of big data and UX will be an inevitable trend in the development of people-oriented products.